PUT UP THE WHOMPER: The phrase that's launched a thousand downwinds. Sailors around the world have heard or hollered this dramatic directive from the 1992 movie Wind at some point during their their time on the water. This week we take a look back at Wind, with the film's star weighing in. 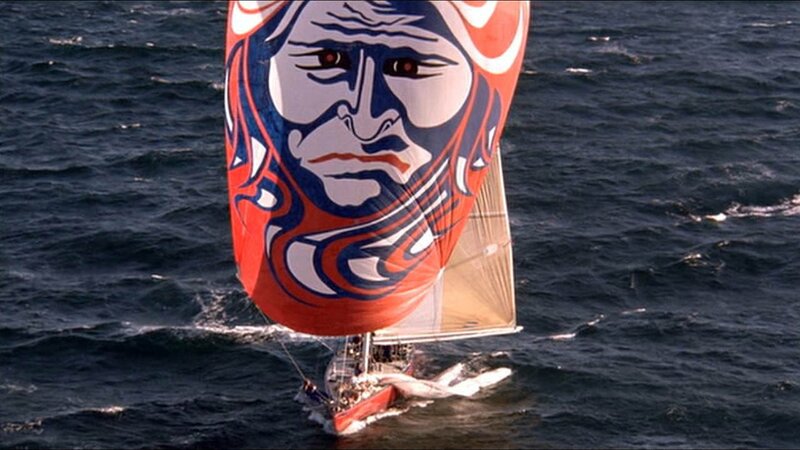 Inspired by the New York Yacht Club's loss of the 1983 America's Cup, the 1992 cult-classic of the sailing world Wind follows the events of that race up through the America's Cup in 1987. Shot over twelve weeks in 1991, many of Wind's racing scenes were filmed on location in and around Dockwa's hometown of Newport, Rhode Island. Click here to jump to the Q&A with Matthew Modine. The Joe Heiser character is based on Burt Rutan, who designed an airfoil for Dennis Conner’s 1988 catamaran "Stars & Stripes." 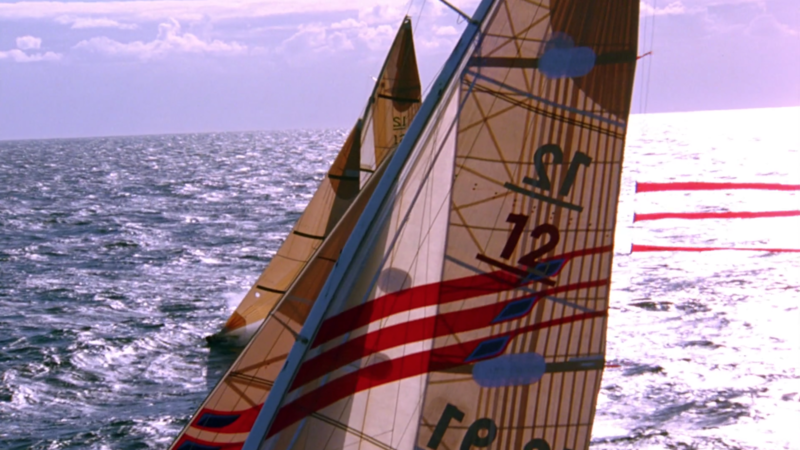 Parker's final mark rounding in the film was inspired by Chris Dickson's final race against Stars & Stripes 87 in the Louis Vuitton Cup Finals: Dickson made his only major mistake of the campaign, striking the final mark, which sealed the boat's fate with the time it took to re-round the buoy. Neville's spin pole shredding the Whomper was inspired by the Defender Semifinals, in which Australia IV introduced a gigantic new asymmetrical hybrid sail, called a Gennaker. Launching the gennaker brought Australia IV even with Kookaburra II, but as the Bond team came up, Kookaburra II luffed, and her spin pole creating a giant gash in Australia IV's gennaker. The demasting of the Platypus was inspired by Challenge France's demasting during the final challenger round robin; Challenge France retired. The collision scene was also inspired by the Defender series, when Australia IV struck Peter Gilmour's Kookaburra II. 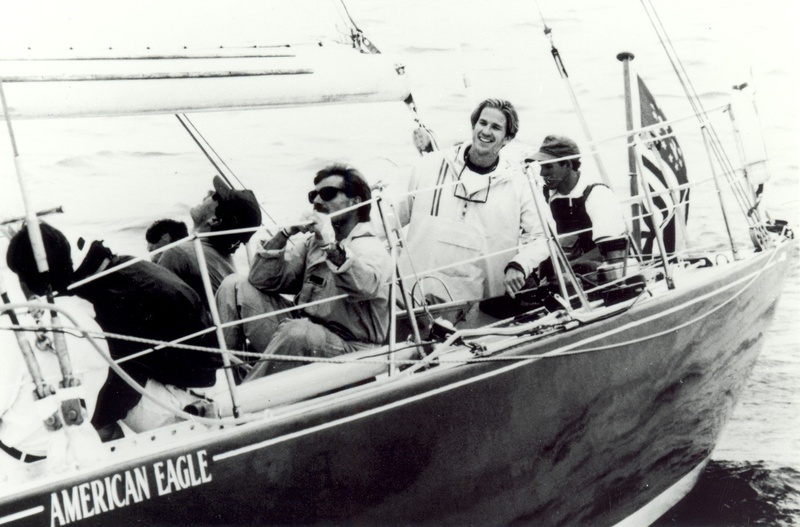 The contentious protests and media briefings depicted in the film were inspired by those that occurred throughout the 1987 America's Cup, which were indeed quite heated. While at the time it may not have broken box-office records, Wind found its audience over the past three decades amongst sailors and sailing enthusiasts. With a romantic subplot that doesn't induce eye-rolling and a competitive tone that mostly manages to avoid cliches, the movie keeps its center, focusing on races well-sailed. If you haven't seen it, you can watch Wind online via Amazon for $3.99. Unlike All Is Lost, this movie doesn't sit on a throne of lies, and while it gets a lot of the racing right it keeps it accessible to non-sailors. [The Director] Ballard knows that a lot of people may not understand the mechanics of sail races, so he does a clever thing. He supplies an Australian sportscaster who narrates some of the action, and he also uses computer simulations to explain things: how a boat can tack into the wind, for example, or what a "wind shadow" is. This information is communicated painlessly, so that by the final race we know enough strategy to understand what's at stake, and why. While doing some research on the 2019 America's Cup, I came across a mention of Wind's star Mathew Modine – well-known for his role in Full Metal Jacket and most recently as Dr. Martin Brenner in two of Netflix's biggest hits of 2016 and 2017, Stranger Things. The article referenced his upcoming cameo in Speed Kills with John Travolta, in which Travolta stars as speedboat racing champion and multimillionaire, Ben Aronoff – a thinly-veiled version of Cigarette founder Don Aronow. 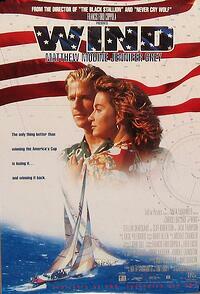 Like any sailor, I naturally had some questions about Mr. Modine's move from sail to power. Dockwa: What was it like filming on cigarette boats in Puerto Rico? MM: It was off season, most of the boats were out of the water, so I didn’t get the feeling of the local boating scene. Driving the cigarette was as thrilling as piloting a B-17 (which I had the extreme pleasure of flying while making Memphis Belle). Dockwa: And when it comes to Wind? Did he have any idea that this film would have the cult following it has among sailors? MM: Whenever you make a film you hope it will be appreciated. It’s a bonus when a film lives beyond it’s initial release. It’s a miracle when a movie gains a cult status. Dockwa: Do people run up to you and yell 'Put up the Whomper!" ? Dockwa: What from that production still resonates with you? MM: You may have not noticed, but there is no branding, no advertising, in the film. Race boats are littered with advertisements today. The clothes the sailors wear are pasted with patches of all sorts of products. The films director, Carrol Ballard, didn’t want any of that. 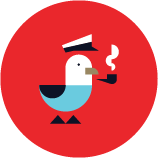 He’s a sailor, and a sailing purist. He didn’t want the distraction of any of the marketing that has permeated sports. I resonated with him on that. Dockwa: What do you think of the new America’s Cup boats? MM: I like them because they’re incredibly fast and light. But, if I were sailing, I’d prefer a classic. Dockwa: Have you sailed since the film was released? MM: Once in Tokyo harbor. I miss it. I’ve been on a lot of motor boats since making the film, but as you know, there’s nothing like being under the power of wind. Dockwa: If a Wind reboot came about, how would you feel? Would you participate? MM: I like what the actor Michael Caine said about remakes. It went something like, “If they want to remake a movie, they should remake bad movies. Not good ones.” No one sets out to make a bad movie. Everyone involved thinks, hopes, the project will turn out terrific. Sometimes the best intentions and efforts just don’t pan out. Not for lack of trying. Sometimes it just doesn’t work. So why not look at the reasons why, and try and make it better! And the truth is, a lot of remakes just don’t work. ....Stay tuned. :) Hopefully we'll see Mr. Modine on the water in Newport this summer!